On September 1st and 2nd, several AFLSE leaders represented our group at LSE’s Biennial Alumni Leadership Forum in London. This was a unique chance to bring alumni from around the world back to campus for one weekend. Chapter leaders from Hong Kong, India, Australia, Italy, Greece, and Japan were among those who joined our AFLSE delegates. This illustrates LSE’s global outlook and impact on alumni. Over the course of those two days, attendees had the chance to share our work serving alumni in our respective countries. We also heard from lecturers such as Professor Eileen Barker OBE, who shared her commitment to visiting alumni. LSE graduates are lifelong learners, and alumni crave the same stimulation that they had as students. We also got to welcome the Alumni Association’s next Executive Committee members to their respective roles. Tom Kern - a former AFLSE president - will serve as the EC’s Vice Chair for the 2017 - 2020 term. We know that he will bring the same commitment to the EC that he has shared with the AFLSE. Above all else, the Forum reinforced how strong LSE’s impact is. All AFLSE leaders volunteer their time to serve alumni in 18 chapters across the U.S.. We do this because attending the School left an imprint on our lives. Representing our group at this year’s Forum reinforced that our nostalgia is shared. 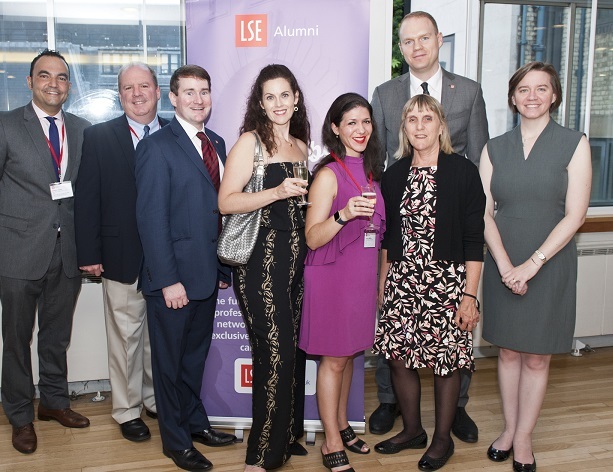 Alumni around the world remain moved enough by their LSE years to serve the School wherever they live. In an increasingly nationalist world, I am more grateful than ever for my LSE education. Let’s all pledge to never stop learning.